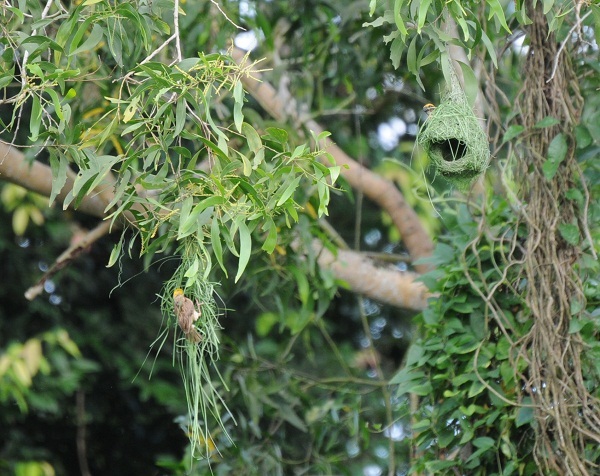 Outside of SBWR, there are some wasteland which supports an enormous variety of wild life. 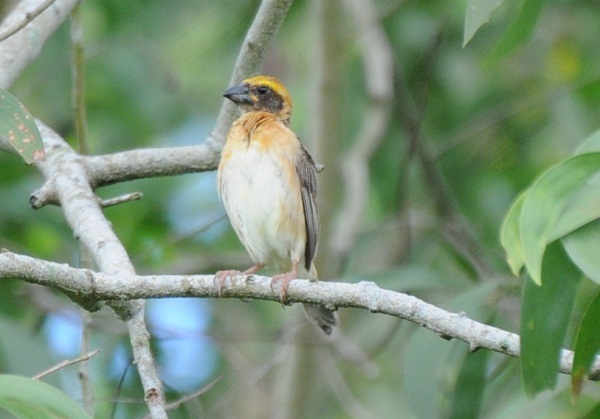 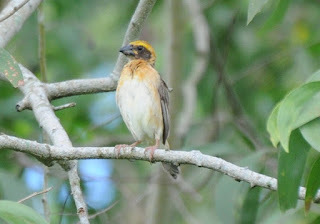 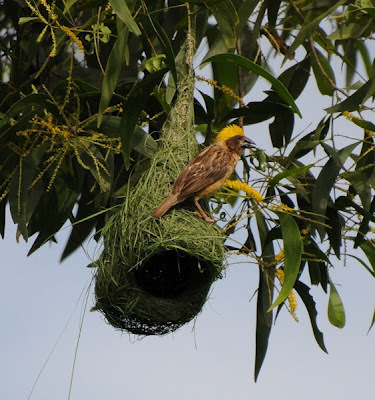 Baya weaver(Ploceus philippinus) is one of the clever birds who can build the most sophisticated and beautiful nest. Baya weavers use fresh green long grass leaves to build their nest and most of the work is done by the male. 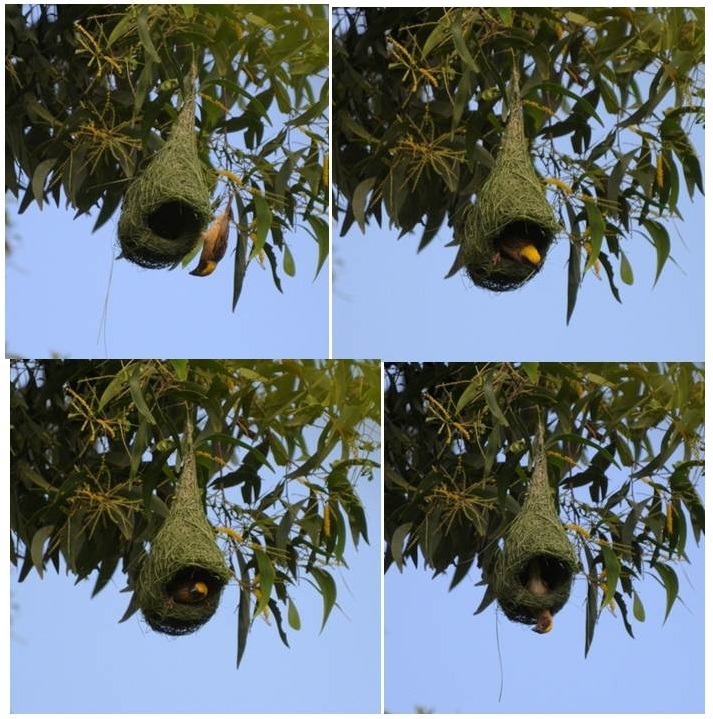 The new nest is green color and the old one yellow. 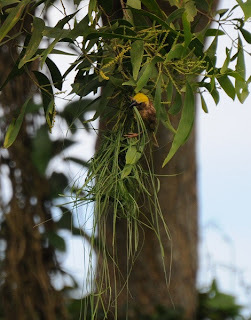 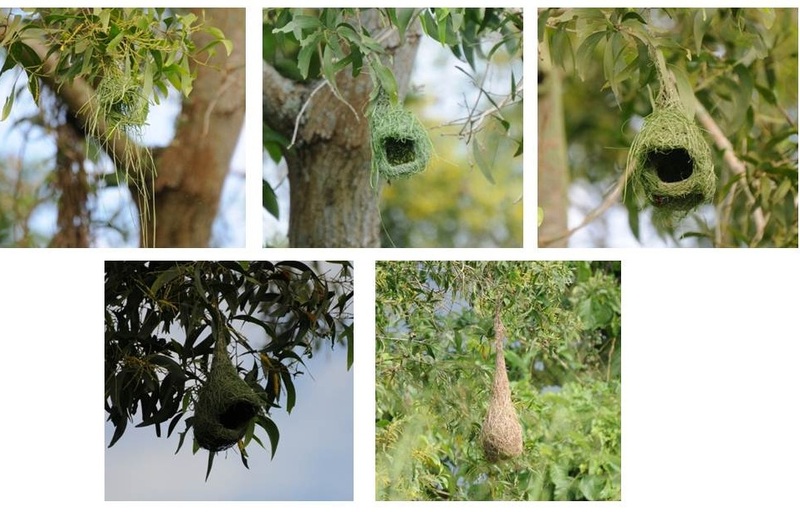 However, the nest doesn't mean the success of reproduction, In the past one month, Baya weaver birds created and tried to create at least six nests near the roadside and now only two nests are hanging there. One nest stopped at the early stage, three nests disappeared. No Baya weaver was spotted at this small area in yesterday afternoon.